The Arizona State Fair is back and better than ever! They are getting ready to open up their gates for the first time this year from October 16 through November 08. They will be open Wednesday – Sunday. Have a chance to enjoy the city view while riding on La Grande Wheel and capture a picture of the beautiful Arizona sky-as the moment lasts only a few seconds. It may be your only chance to relax before getting on the Cyclone. The Cyclone spins you around at a fast speed and may leave you asking yourself why you decided to get on. That is not all; the Arizona State Fair offers so much more! It has various fried foods such as fried Twinkies, Oreos, and even lemonade! Although, it is rumored that the turkey leg is the best food at the state fair. The fair also includes fun game stands. Get the chance to play a game of ring toss to win a fluffy, big stuffed animal or maybe even a gold fish. Prizes are given to those who compete against another person and win! Don’t miss out on all the concerts happening at the fair. Have a chance to see some of your favorite artists live on stage! You don’t want to miss out on the fun this fall break. 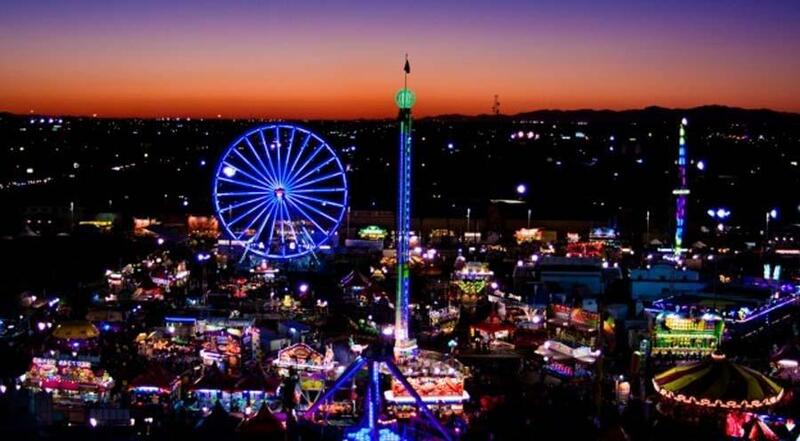 Take a trip to the Arizona State Fair before it’s too late.